Mica Beauty Mineral Eye Shadows’ glamorous shimmers is extremely gentle, free of preservatives, will look ultra smooth and stay put for hours without creasing or pulling the delicate eye area. 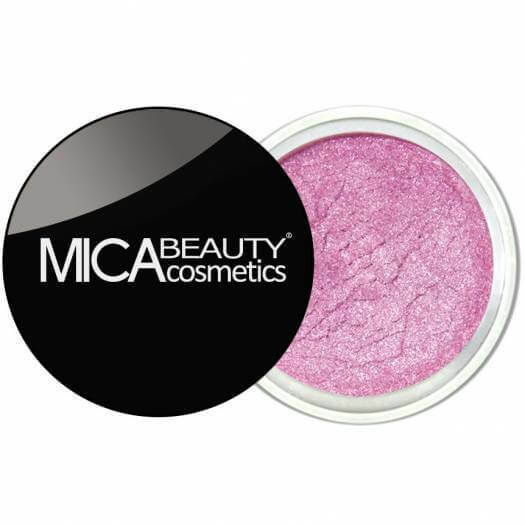 Mica Beauty Mineral Eye Shadows’ glamorous shimmers will give you the look you always wanted. 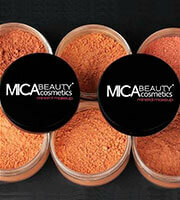 Mica Beauty Mineral Makeup is extremely gentle, free of preservatives, chemicals, dyes, talc, oils, and other fillers. Brush a small amount of your favourite Mineral Eye Shadow on top of your favourite Matte Liquid Lipstick for a shimmery lip colour that won't transfer or make a mess. "Mica, [+/-CI 77891, CI 77491, CI 77492, CI 77499, CI 19140, CI 42090, CI 16035, CI 77288, CI 754701, CI 77163]. Please be aware that ingredient lists may change or vary from time to time. Please refer to the ingredient list on the product package you receive for the most up to date list of ingredients." Amazing eye shadow! I wear it everyday to work and am still amaze on how light it is! For some natural shimmer on your eyelids, this is the product for it! I've got the colour in 72_earth, and I love it! The colour is pretty. I wore it during NYE party and received tons of compliments for it! It is so light on the skin that I don't feel anything on my eye lids! I received my eye shadow in 2 days! They have amazing fast delivery and their product is perfect! Amazing colour choices!! I love mine and would definitely purchase a second one!